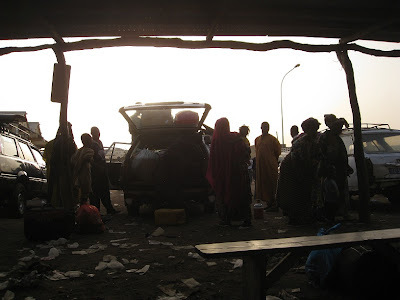 In this whirlwind tour of Senegal I’m still equivocal about the country and if I was asked right now what I thought of Senegal, I’d sing the praises of Saint Louis loudly whilst advising people to give Dakar a miss, charmless hustler-filled dump that it is. And so the Casamance gets the casting vote in this. 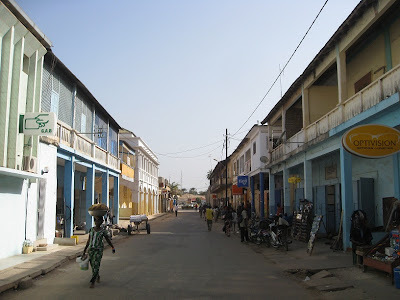 The Casamance region is home to the Diola, fiercely independent people for whom separatist struggles are what gets them out of bed in the morning. There’s much to admire about them; they completely rejected the notion of slavery which blighted (and in some cases - hello Mauritania - continues to blight) the histories of many a west African nation, and they gave a resounding two fingers to the French when the rest of Senegal fell into line and - let’s be honest here - don’t we all want to give the French the two fingers from time to time. Or is that just me? 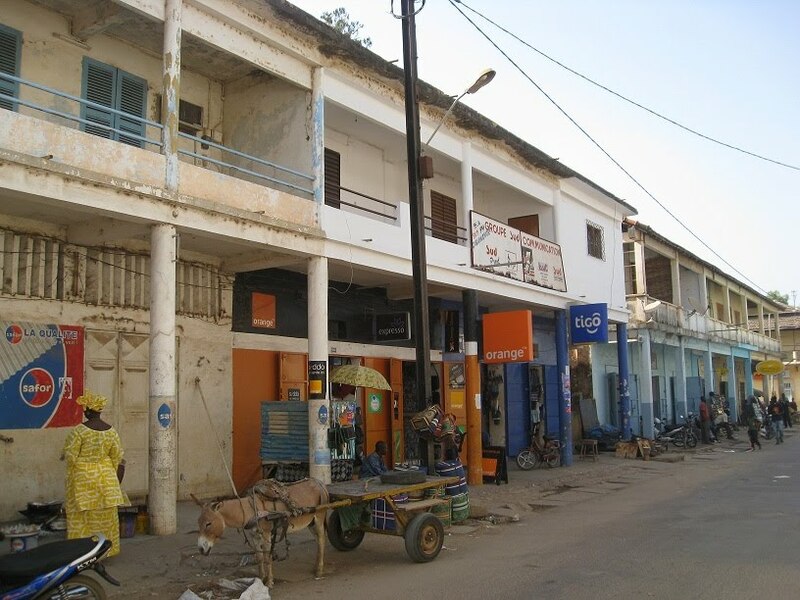 Ziguinchor is the capital city of the region and, pardon me if I’ve used this description before, but it’s compact, crumbling, dusty, and if for some strange reason you‘ve come to the Casamance in search of bounteous mango supplies, this is the place for you. There really isn’t all that much to see in the city and unlike Saint Louis, say, once you’ve wandered through one area there’s little reason to retrace your footsteps again. And most surprisingly it’s devoid of any real atmosphere at all - even Dakar bristled with some sense of energy but here the vibe is soporific as if the zest has been devoured by the heat. 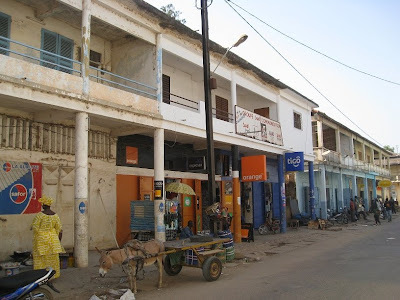 It also has a Guinea-Bissau consulate which is only open for business when you call the mobile number of the administrative officer who’s helpfully put his number on the door. I need a visa, it’s Friday afternoon and so I call him. I have enough French to tell him who I am, what I need and ask if I can have it but, as anyone who’s learned a language from a CD or textbook knows, you’re fucked when they say something that’s not on the CD or in the textbook. Humans eh? I keep asking him to repeat what he’s just said (and I feel like saying “But this wasn’t on the CD”) and eventually he starts to scream - I can’t say I blame him really, if the roles were reversed I’d be screaming too - and so I hand the phone to the waitress who not only calms him down but arranges for him to come and meet me to issue my visa on a Saturday morning. It’s clearly not the man I spoke to on the phone who’s there to meet me at exactly 9am the following morning - instead I’m issued a visa within five minutes by a calm individual with fluent English and so it’s off to Guinea-Bissau I go where I’ll hopefully spend some time in the capital and wander over to the islands of Arquipélago Dos Bijagos. The best part of Ziguinchor for me have been the neighbourhoods off the map where you get to see the people as they are. I wander around the neighbourhoods twice, managing to get lost on both occasions, once long after dark on a Sunday night but never once feel as if I’ve strayed into a part of town that I really shouldn’t be in after dark. Here the roads are made of sand and the people congregate to watch the wrestling live from Dakar and in many houses there are garden parties where the neighbours gather to talk and dance. 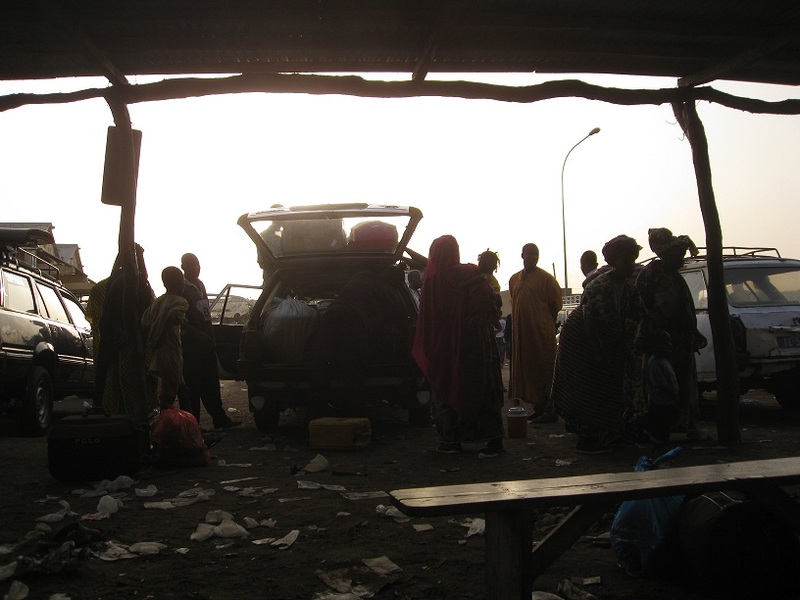 My last days in Senegal are spent on the long road out east to Tambacounda, my last port of call here before I cross the border into Mali. The roads here are in various stages of disrepair and much of our time is spent swerving wildly from one side of the road to another to avoid ending up in one of these craters from which there is probably no escape - you might survive but your axle won‘t. The view from the sept-place is beautiful, quintessentially and classically African; beautiful straw huts with witch hat roofs which look like they’ve been transported from Bronze Age crannógs and always, somewhere off in the distance, African women wearing impossibly bright colours from head to toe striding through the fields carrying pitchers of water or some food from the fields on their heads . It’s these little views that flash past - like a freeze frame from a movie that burns itself on the memory - when I’m on the move that make this such a beautiful part of the world.